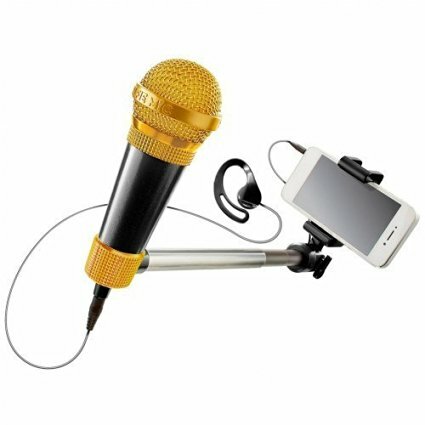 Selfie Mic: microphone meets selfie stick to take you beyond Karaoke. Selfie Mic: microphone meets selfie stick to take you beyond Karaoke. Using your free included partner app, Sing along to your favorite songs from a catalogue of over 3 million fully licensed songs with updates daily.